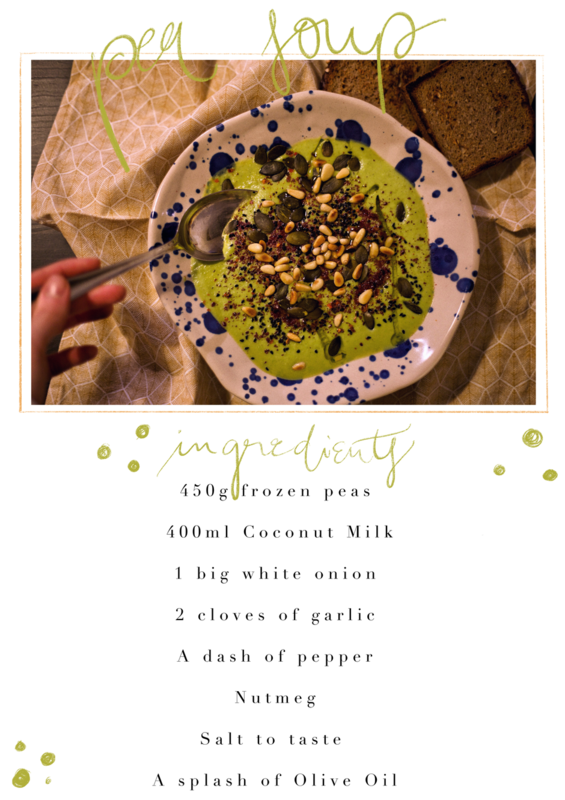 CREAMY VEGAN PEA SOUP - misszophies Webseite! For years I stayed away from peas, not because I didn't like the taste, no I used to love it, but because I had a very unfortunate incident involving gone off peas and noodles and a big bucket with my head in it for hours. But let's not get into that while talking about cooking, shall we? A couple of months ago I ate pea soup in a vegan restaurant that was de-lic-ious (aside from missing a few spices, but that is always my issue in restaurants). And clearly I thought: That can't be too hard to recreate and tweak to my liking. So I went and bought my first frozen peas in 7 years. Put the frozen peas in the pot and let them defrost and heat up. I always add around 100ml of water. You can add more water, if you want the soup to be less creamy and more watery. Build up the richness of the soup by adding one chopped onion. At this point I add a little bit of salt or 2 TS of vegetable stock. Add the Coconut milk and mix well. It will smell amazing already! Let it cook on medium heat for around 5-10 minutes ( I always keep checking how soft the peas and onions are). Blend! Blend to creamy perfection! While I blend I add pepper and nutmeg and a little bit more salt, if needed. Let it simmer on very low heat for a minute. I love roasted pine nuts and pumpkin seeds, a sprinkle of sumac and black cumin. You can put crispy kale on top that you made in the oven while you prepared the soup. Or simply add herbs like fresh oregano, cilantro or parsley. So many options! I never omit that splash of organic Olive Oil which enhances all those gorgeous flavors. Enjoy with a few slices of toasted (buckwheat) bread. I cannot stress enough how easy and how filling and delicious this soup is! It is sweet, yet savory with the right conjunction of spices and herbs ( and even some kinds of fruit, like pomegranate as a garnish, for example). It is the perfect type of lunch, if you haven't got a lot of time, but still crave something interesting, nutritious and most of all: Healthy. Give it a whirl and let me know if you got as addicted to it as me. Ich liebe liebe liebe Deine Videos & diesen Blog. 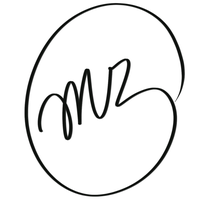 Ich finds nur schade, dass der Blog auf Englisch ist. Versuche ihn trotzdem weiterhin zu lesen. Liebe Grüße!